3.Mail Application with photos and non-refundable jury fee ($15.00) check to P.O. 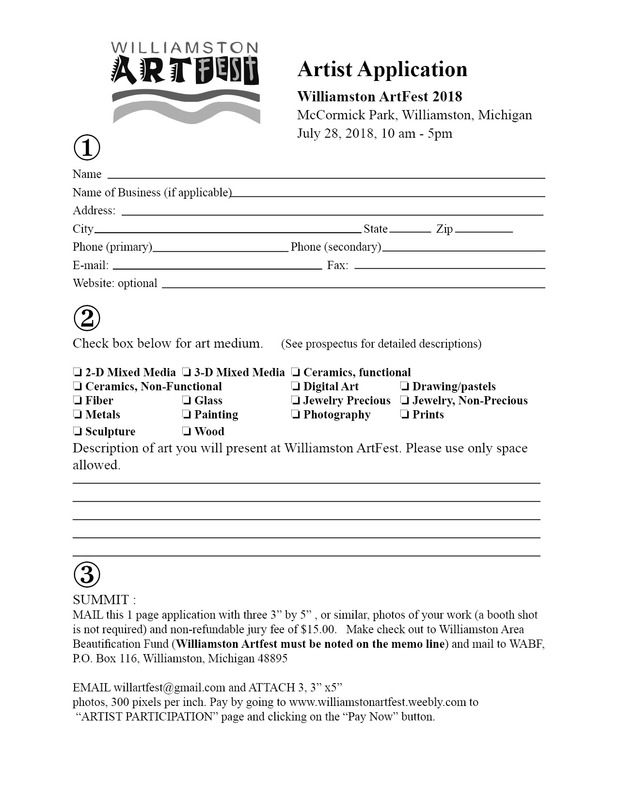 116 Williamston Michigan 48895 OR email application to willartfest@gmail.com and pay by clicking the "Pay Now" button below. Upon acceptance, go to the "Booth Pay Only" page!